A legend in her own time both for her brilliant poetry and for her resistance to oppression, Anna Akhmatova—denounced by the Soviet regime for her “eroticism, mysticism, and political indifference”—is one of the greatest Russian poets of the twentieth century. 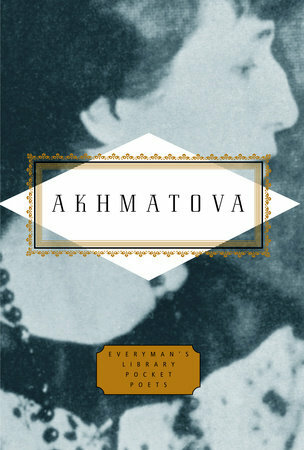 Before the revolution, Akhmatova was a wildly popular young poet who lived a bohemian life. She was one of the leaders of a movement of poets whose ideal was “beautiful clarity”—in her deeply personal work, themes of love and mourning are conveyed with passionate intensity and economy, her voice by turns tender and fierce. A vocal critic of Stalinism, she saw her work banned for many years and was expelled from the Writers’ Union—condemned as “half nun, half harlot.” Despite this censorship, her reputation continued to flourish underground, and she is still among Russia’s most beloved poets. Here are poems from all her major works—including the magnificent “Requiem” commemorating the victims of Stalin’s terror—and some that have been newly translated for this edition.